Pittsburgh Steelers QB Landry Jones celebrates in win over Arizona Cardinals. 1. I think it’s bizarre that Michael Vick ever got ahead of Landry Jones on the depth chart. I know, I know: Jones did not play well in the preseason. Whatever. Watching every Steelers snap on film since Ben Roethlisberger went down, two things have stood out very clearly: (1) Vick does not operate Todd Haley’s offense well and has little feel for quarterbacking aspects such as throwing with anticipation into predictable zone voids. Vick is a see-it QB—he has to see a receiver get open before he’ll pull the trigger. Often in the NFL, that’s too late. And (2) Jones understands the offense and has a good grasp of quarterbacking basics. The Steelers had to alter their system to accommodate Vick. They did not have to adjust to the same extent when Jones played in the second half against Arizona. Jones has been with the team for three years now. How in the world did Vick, who was signed in late summer, ever get ahead of him on the depth chart? 2. I think the Broncos have the best defense in football. And really, it’s not even that close. 3. I think Joe Flacco is saddled with receivers who can’t get open on their own against man coverage (save for Steve Smith Sr.) and, consequently, his decision-making has started to go awry. 4. I think the Panthers have the most dynamic rushing attack in football. It’s partly the Cam Newton factor and, relatedly, partly the misdirection and deception their run designs present. 5. I think Jets-Patriots is the most compelling matchup we’ve seen this season. It’s certainly the best offense vs. defense matchup, with New England’s sharp quick-strike passing game facing New York’s stingy pressure- and matchup-based D. The nature of the Patriots’ aerial attack will nullify many of the Jets’ blitz concepts. So what will decide this contest is whether the Jets can handle the Patriots’ stack releases (i.e. when one receiver lines up behind another to get a clean release off the line). Todd Bowles almost always has his men play the releases here, meaning the inside defender takes whichever stacked receiver goes inside, and the outside defender takes whichever receiver goes outside. Both teams execute these respective staples extremely well. • TODD BOWLES—FROM APPRENTICE TO MASTER: Bruce Arians, Joe Gibbs and Bill Parcells each had a hand in molding Todd Bowles, who is now remaking the Jets in his own image. Malcolm Butler hasn’t suffered a Super Bowl hangover. 6. 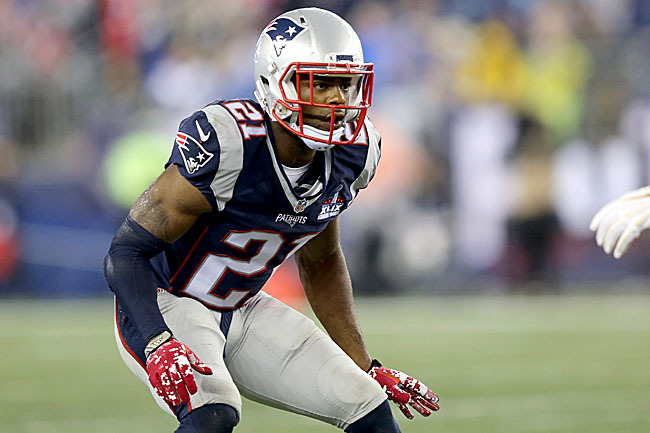 I think if I had to construct an All-Pro team today, I’d give strong consideration to Pats corner Malcolm Butler. At the very least, he’s a Pro Bowler right now. • MALCOLM BUTLER DAY: An undrafted free agent who once worked at Popeyes for $7.25 an hour became the unlikely star of Super Bowl XLIX. The MMQB followed him back home to Vicksburg, Miss., where everyone already knew his name. 7. I think I mean what I said to Chad Dukes on D.C.’s 106.7 The Fan last week: in terms of game-plan construction, Jay Gruden is a top-10 NFL head coach. Whether Gruden handles all the other aspects of head coaching well or not, I can’t say (I’m not in Washington’s building). But watching the film, his offense does more with less, particularly in the passing game, than almost any in the league. Washington’s route combinations are some of the shrewdest in football. 8. I think talk of benching Peyton Manning or even giving a few snaps to Brock Osweiler is embarrassing for reasons that shouldn’t have to be explained. • BRONCOS RUSH TO PEYTON’S DEFENSE: Denver is undefeated despite having the league’s fourth-worst offense. The defense—and everyone in the locker room—is standing behind their diminished quarterback. 9. I think the Browns have missed free safety Tashaun Gipson (out the last two weeks with an ankle injury). His fill-in, Jordan Poyer, has been adequate, except on Emmanuel Sanders’ 75-yard touchdown last week, when he took a horrible angle from centerfield. The point of playing free safety is to prevent the very type of big play Poyer gave up. 10. I think what Clinton Portis and Chris Cooley said recently, about Jim Zorn being so vocal about his Christian values that it divided the locker room when he was the head coach in Washington is very, very interesting. Vocal religious beliefs are a divisive issue that come up often in the NFL, but are only talked about privately, in whispers.